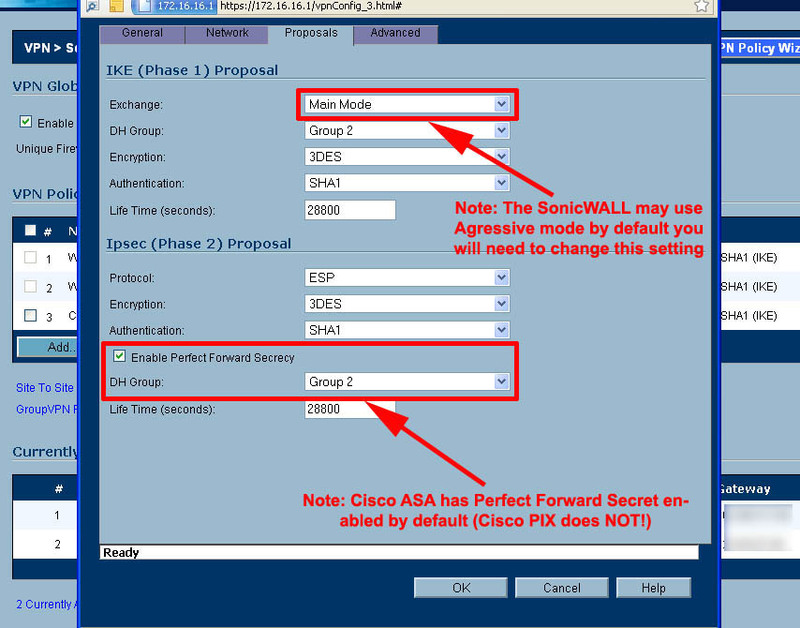 You want to put in a secure IPSEC VPN tunnel from a Cisco ASA Device to a Sonicwall Firewall. Note in this example we will use 3DES for encryption, SHA1 for Hashing, Diffie Hellman Group 2, PFS enabled, and we will use a shared secret (Pre Shared Key). SonicWALL used in this example is a PRO 3060. Special thanks to David Pounds for his help with the SoniWALL configuration.